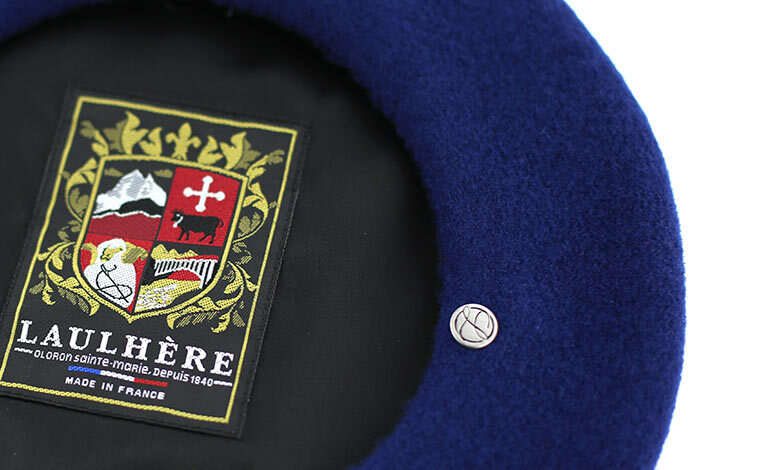 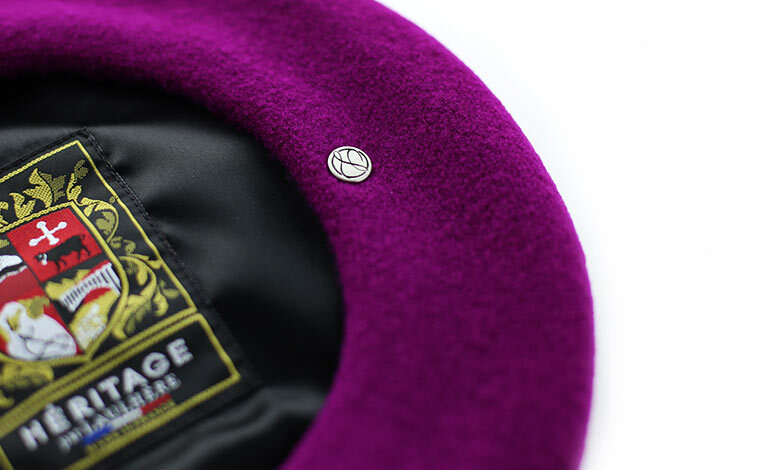 The Béret Héritage pays tribute to it's origins: Oloron Sainte Marie, the industrial birthplace of the beret. 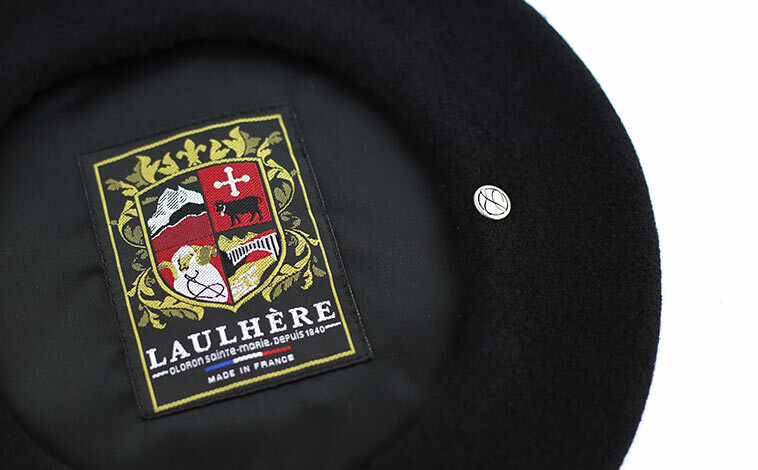 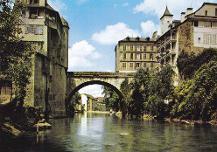 The embroidered beret label depicts the cow and cross that are the coat of arms of the town; the historic bridge across the Gave that can be seen from Laulhère's waterfront factory; the Pic du Midi (visible from Oloron Sainte Marie on a clear day) and the sheep is a Merino, the noble race of sheep whose fine wool is used for the making of berets. 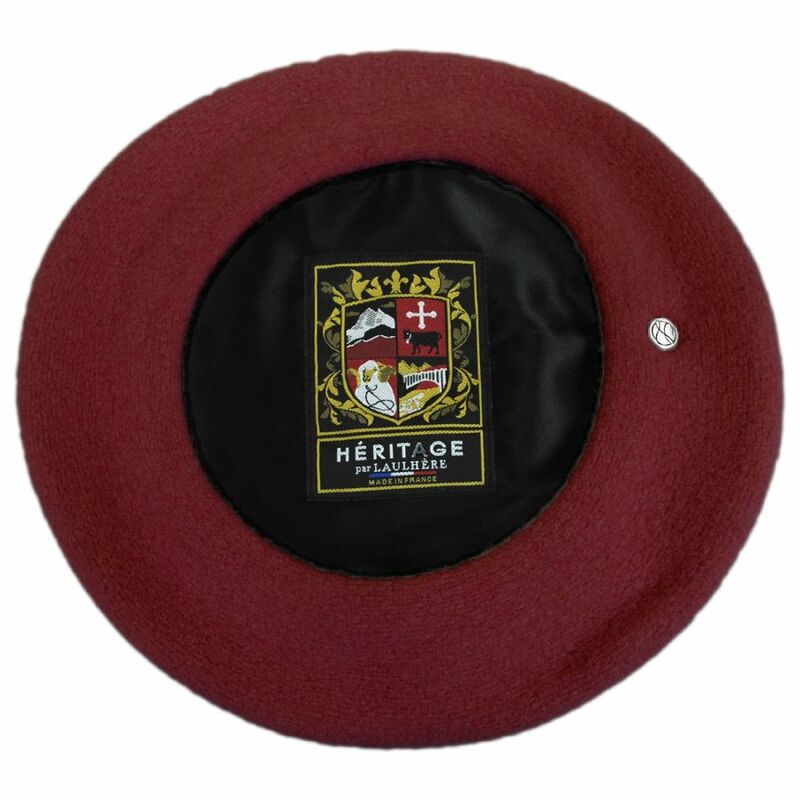 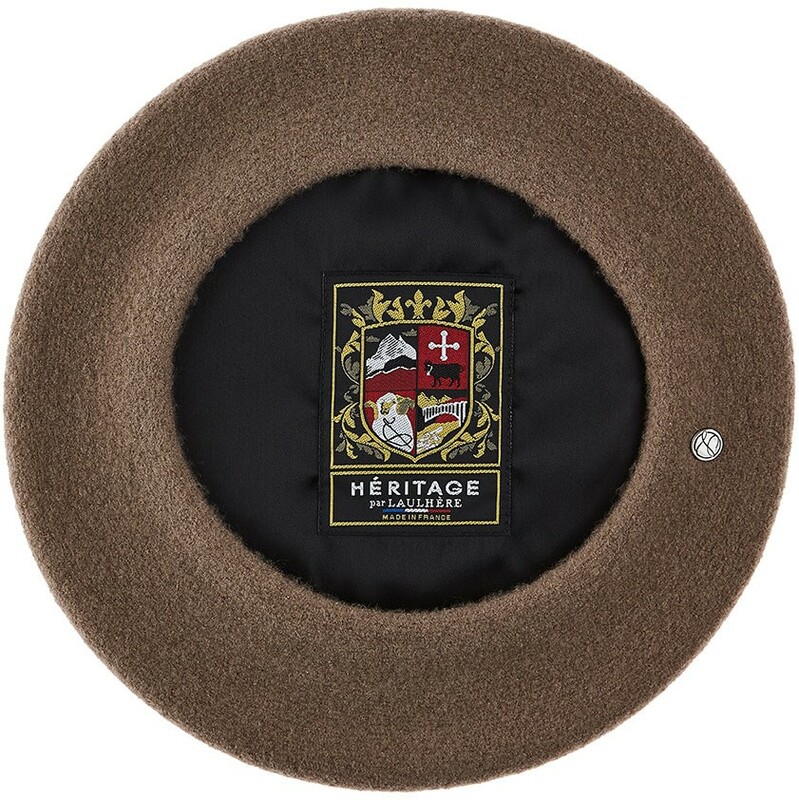 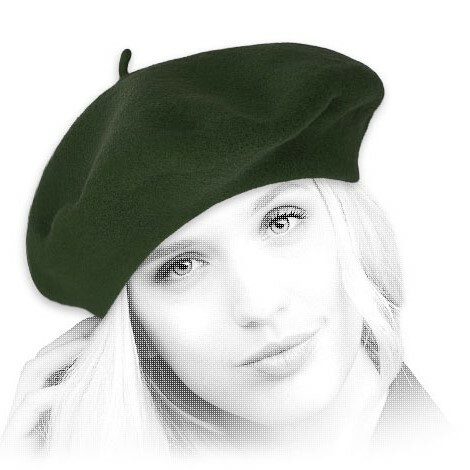 South Pacific Berets stocks the mid-weight Héritage in black, midnight-blue, green, hermes (red), Bordeaux, brown, santal, violet, khaki and rose/bubblegum - a beautifully made 10-pouces (28cm diameter) beret in a universal (one-size) model. 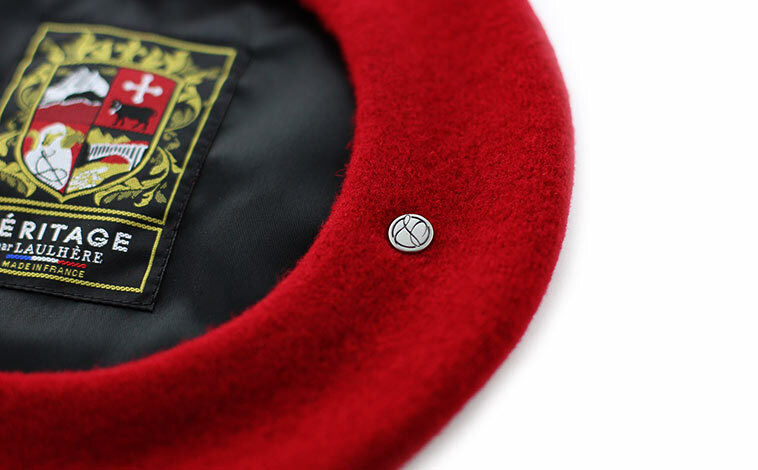 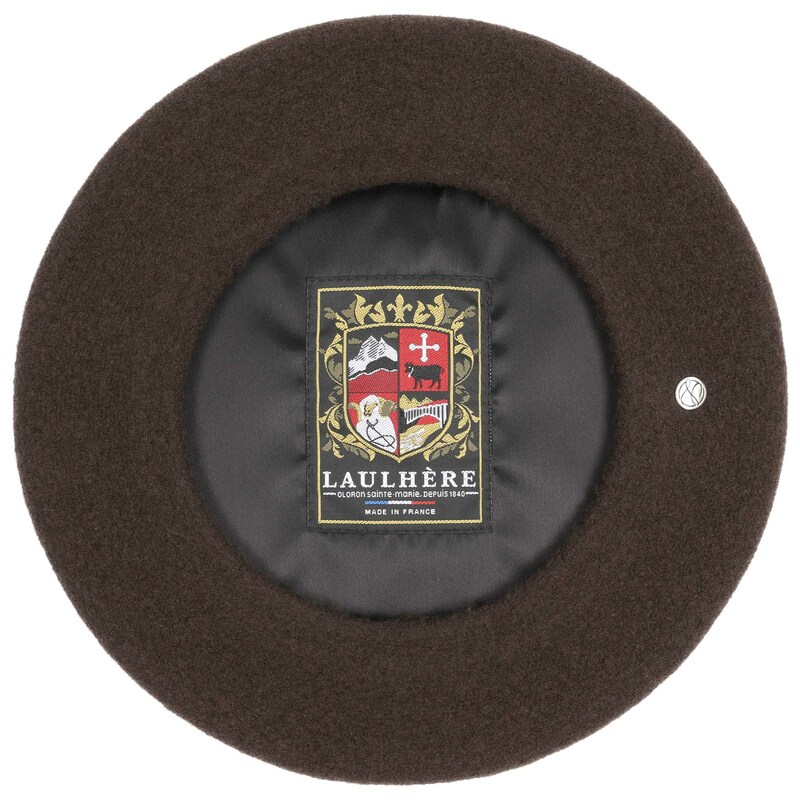 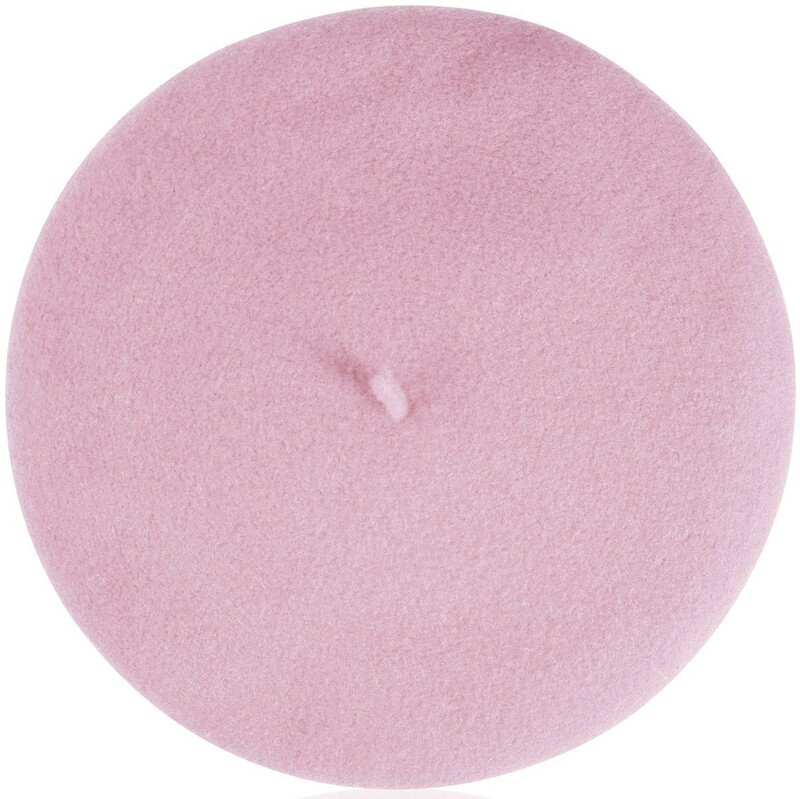 This beret comes in it's own gift box.